Paulina Lake Campground is one of the more popular of the Newberry Monument campgrounds, partially by default; it’s the first campground that you come to as you enter the monument. It is located on the southwest shore of Paulina Lake and offers wonderful opportunities for activities including bird watching, bicycling, fishing, sightseeing, swimming, hiking around lava flows, and a short walk to Paulina Falls Day Use Area. There is also easy access to a boat launch within the campground, and non-motorized boats are allowed. A rustic resort is next door, so you can stock up on last minute (or forgotten) camp provisions or even take a break from campfire cooking altogether and eat at the small café. Paulina Lake Campground is also popular because it offers flush toilets, making it downright swanky by many campers’ standards. There are 68 camp sites and 51 of them are pull-through, making this an ideal spot for those with large, luxury RVs. 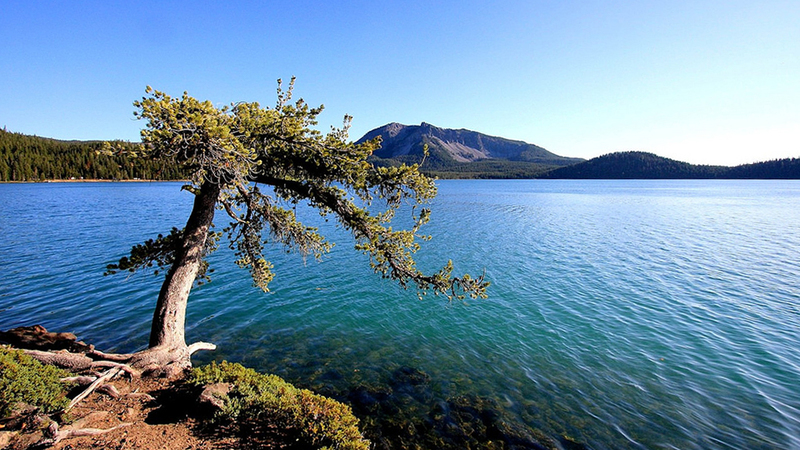 Because it is so popular, the forest service attempts to keep Paulina Lake Campground open as long as weather permits, but it is best to check the website to see the current schedule. The per night, per site fee is $18 for the first vehicle (RV), $18 for the second vehicle (RV), and $9 for each additional vehicle.